The two numbers used in international staple sizing are the gauge of the wire and the length of the staple shank, given in millimetres. A lower wire gauge number means a thicker staple, while a higher shank number means a longer leg. The most widely recognised standard for staple sizes reads wire gauge/shank length, such as 23/8, for example, where the gauge of the wire (23) is the former, and the shank length (8 mm) is the latter. One example of an exception to this rule is the standardised size No. 10 staple, which is used for mini staplers. OUR CHOICE. Quality staples for everyday trouble-free stapling at an economical price. Suitable for use with most office desktop staplers and pliers. Manufactured from galvanised fine wire steel. BEST SELLER. 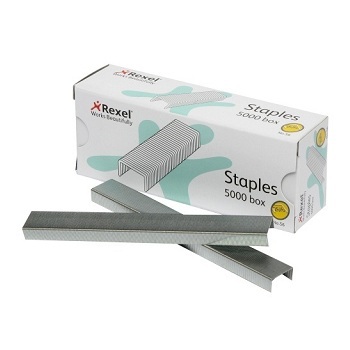 Rexel high quality staples for accurate trouble-free stapling. Designed for use with most office desktop staplers and pliers. Manufactured from steel to precise standards. 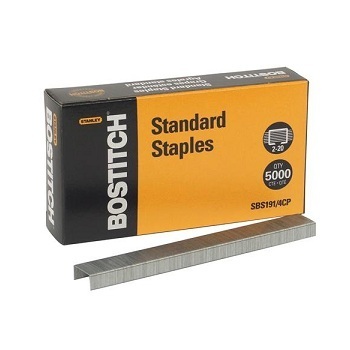 Stanley-BOSTITCH brand high quality standard 26/6 staples. Manufactured from galvanised steel with chisel point tips for maximum penetration. Rexel Coppered Staples, formerly Velos 350 brand. Suitable for use with all major brand desktop staplers. 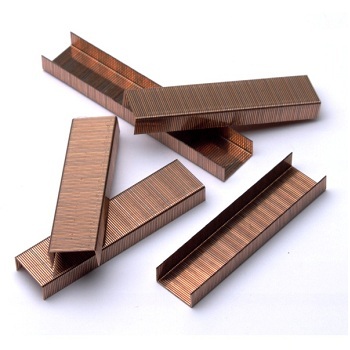 Coppered staples do not rust, therefore they are ideal for use with archival or long-lasting documents. 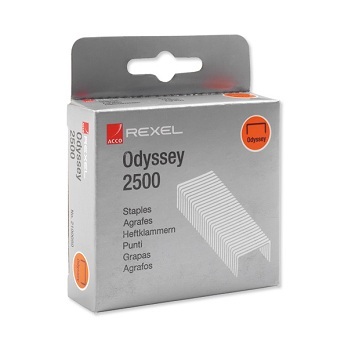 Rexel premium quality staples for accurate trouble-free stapling. Designed for use most office desktop staplers and pliers. Manufactured from a heavier gauge steel for added strength and durability. Designed specifically for use with Rexel Mini and Pocket staplers as well as small office desktop staplers. No. 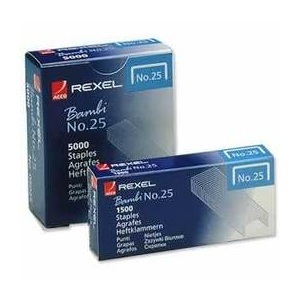 25 Staples are compatible with Rexel Bambi, Rexel Beasti, Buddy or Mini Staplers. Manufactured from galvanised fine steel wire. 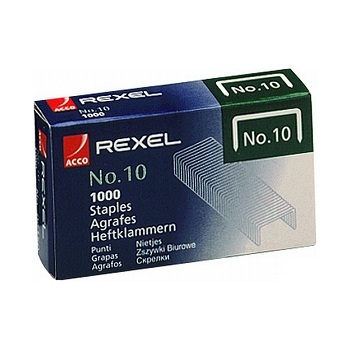 No.10 Staples are compatiable with Rexel No.10 Mini Stapler and other leading brand staplers. 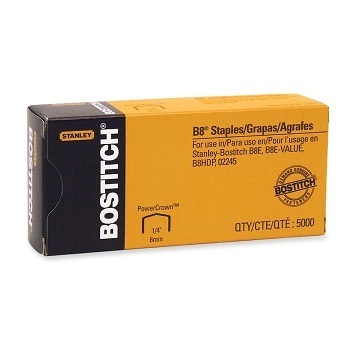 Fits all Stanley-BOSTITCH B8® staplers. Box of 5,000 staples. Choice of staple sizes available. 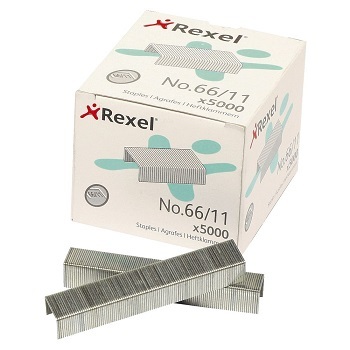 Premium quality Rexel No.66 heavy duty staples. They are built for precision and trouble-free operation, specifically designed for use with Rexel (Gaint) staplers as well as other leading brand heavy duty staplers. 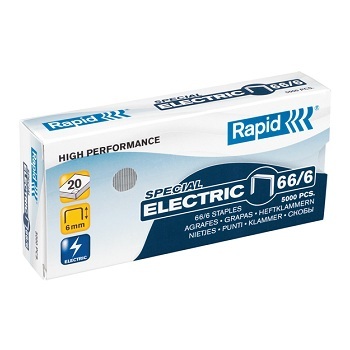 High performance staples designed for use in most of Rapid's standard electric staplers. Compatible with most heavy duty staplers, hand held pliers and electric staplers. Manufactured from durable, strong, galvanised steel wire. 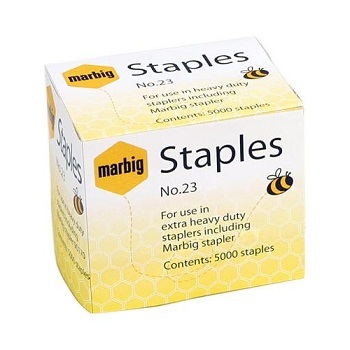 Quality No.23 heavy duty staples from Marbig. Suitable for use in extra heavy duty staplers including Marbig. Made from high quality mild steel with a chisel point finish. Sturdy 9 mm shank length (13/9) staples for everyday use. 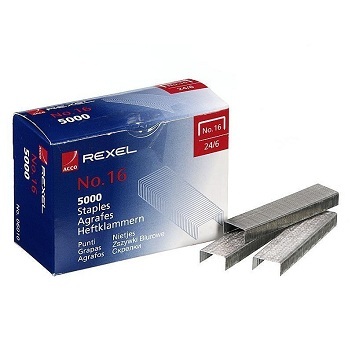 Super sharp PaperPro™ High-Capacity staples manufactured from galvanised fine steel wire. Designed for use with PaperPro™ High Capacity and Professional 65® Staplers. 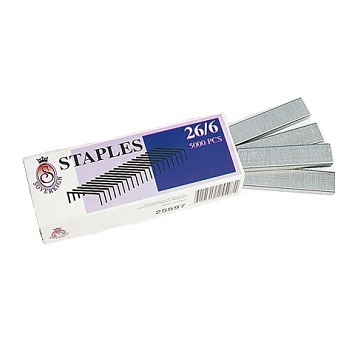 These 25/10 staples are compatible with most brands of high capacity staplers on the market. 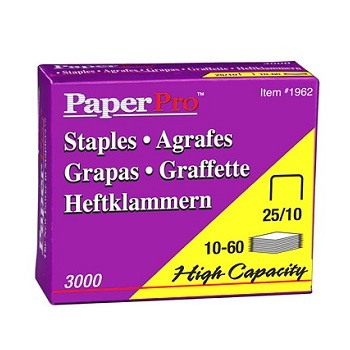 Box of 3,000 high capacity 25/10 (3/8") staples.